ACA has designed a specialist rehabilitation and recovery facility. The facility caters for people who require an environment for mental health recovery on behalf of Hull and East Yorkshire Mind. The accommodation will provide a therapeutic and safe environment where the residents can build confidence while developing independent living skills to continue the process of recovery. 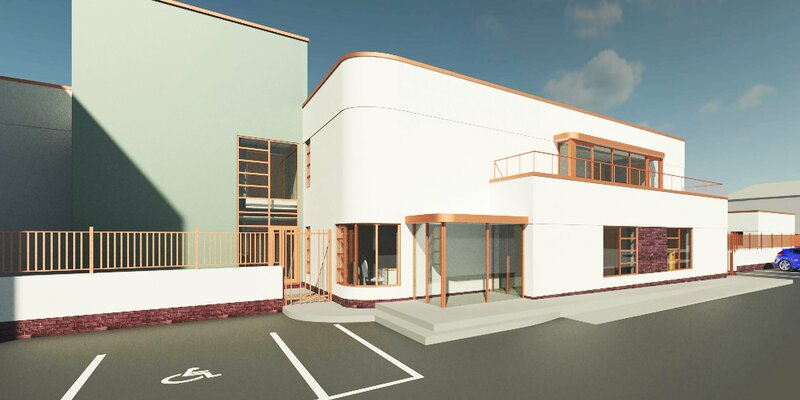 The project will see the demolition of an existing Art-Deco style building. To respect the building’s history and contribute positively to the conservation area, the new building takes inspiration from its predecessor. The design of the proposed rehabilitation facility has taken into consideration the surrounding residential and urban context. The massing of the existing building is dwarfing to surrounding buildings, therefore, the new design has a reduced volumetric approach. This is in consideration of the vernacular of the existing site. As a result, the development is more of a domestic scale which is in-keeping with the surroundings and history. The proposed materials were originally inspired by the Art-Deco style building that exists onsite and further by the rich history that Hull has of Art-Deco architecture. The aesthetic quality of the final selections create an architectural feature, which provides a point of orientation in the conservation area of Beverley Road. It also offers a therapeutic benefit for the proposed use of the scheme.